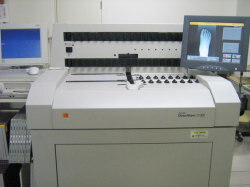 We provide accurate diagnosis and appropriate treatment using our advanced equipment. At the radiation division, we provide appropriate medical information to physicians using X-ray imaging equipment, open MRI, etc. We are making our best efforts to improve the radiographic technique so that accurate diagnosis can be carried out. With the MRI examination, it is possible to visualize cross sections of the structure of the body in all directions with strong magnetic force. Since MRI does not use radiation at all, there is neither risk of radiation exposure nor any pain during examination. 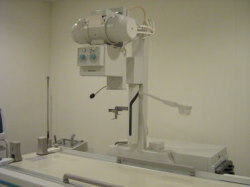 MRI equipment. 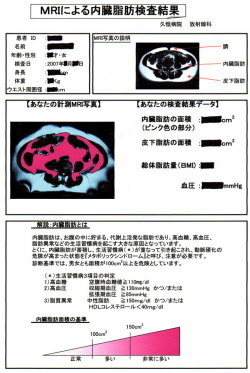 By receiving the MRI examination, we can understand what we did not see through standard radiography. MRI-based measurement of visceral fat for outpatient is carried out. Hospitalization obesity treatment is also available.